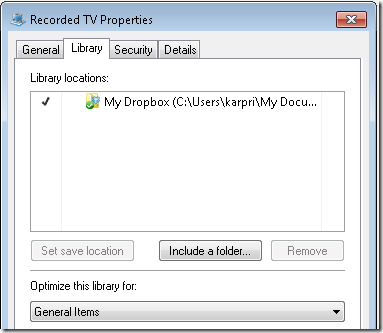 You are here: Home » How to Add Dropbox to Windows 7 Start Menu? I love Dropbox hacks and write them as and when I encounter one. I use Windows 7 on my desktop besides using our new 21.5” Apple iMac. And Dropbox is one of the first applications I install on any operating system! 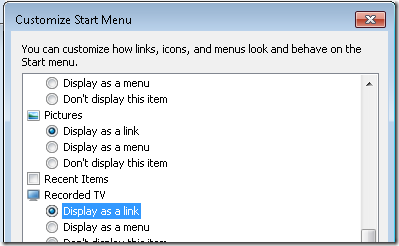 How-To-Geek has shared how to add “My Dropbox” or any link for that matter to your Windows 7 Start menu. 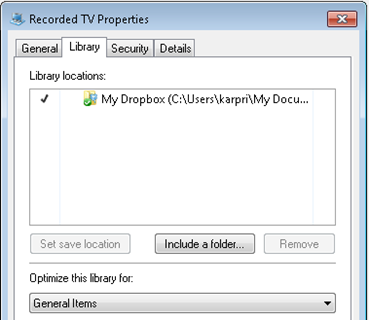 Windows 7 Libraries have a Recorded TV link and this hack just renames it to Dropbox folder giving you easy access to it. 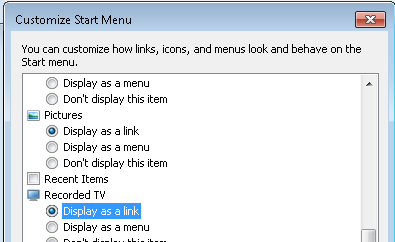 Right Click on Recorded TV and change its name to My Dropbox. This hack enables you to quickly find your Dropbox folder via Start Menu by mouse or by keyboard by search. Check out this post for even more Dropbox hacks.